Dr. Oz will be hosting a free health clinic at Hilton Atlanta to celebrate that his tv show will be airing at Atlanta's own WSBTV! 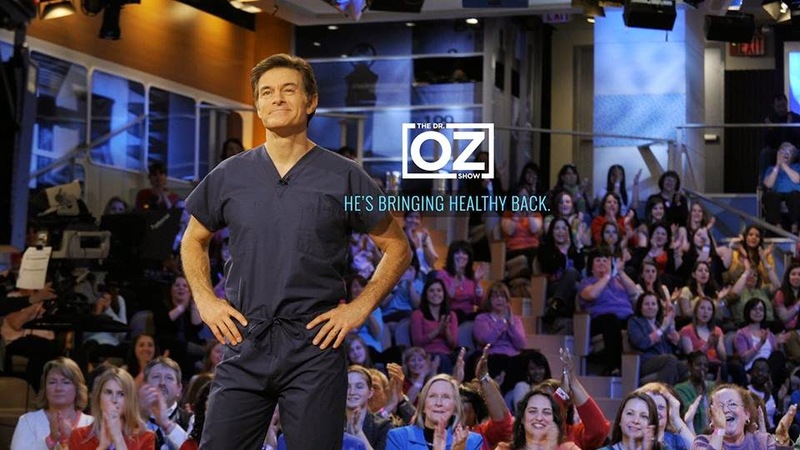 Bringing Healthy Back with Dr. Oz Health Expo will be on September 13th from 9am – 5pm. The expo is free but registration is required. Dr. Oz’s 90 Minutes to a Healthier You - Join Dr. Oz and an all-star roster of speakers on the big stage for entertainment, information and high-octane energy! Learn the latest in health, nutrition, fitness and how to live The Good Life from Dr. Oz himself. Dr. David Wentz, CEO of USANA Health Sciences (a nutritional supplements company) and author of The Healthy Home, will point out the simple ways to protect your family from hidden household dangers in “90 Minutes to a Healthier You”. But wait that's not all! Dr. Oz’s Atlanta 15 Minute Physical: a team of medical professionals from Piedmont hospital will give registrants a quick series of screening tests that include a lipid panel (HDL and LDL cholesterol and triglycerides), and blood glucose made possible on the Alere Cholestech LDX® System, a rapidly reading mobile lab device. In addition, registrants will have their blood pressure and waist size measured. By linking these five important markers, a very basic idea of general risk for heart disease and diabetes can be determined. Internationally recognized Gastroesophageal Reflux Disease (GERD) specialist, Dr. C. Daniel Smith of Buckhead Surgical Associates, will be on-site to conduct heartburn and GERD testing at the “Heartburn Help” clinic. Some registrants will be eligible for on-site diagnostic scoping to further assess their circumstances. David Buer, Atlanta-based Sharecare Fitness Expert and celebrity trainer of people like Tyler Perry and Joey Lawrence, will also attend and demystify frustrating fitness myths and misconceptions about working out in “90 Minutes to a Healthier You”. He will also motivate you to adopt a more active and fun lifestyle with simple and effective workout routines that you can do anywhere without any equipment. Dr. Oz’s Heartburn Help Clinic: If you suffer from occasional or chronic heartburn, help is here at our clinic. Our gastrointestinal specialists are on hand for on-site diagnostics, referrals and other resources. Plus, you can attend a 40 minute presentation, “War on Heartburn Town Hall Meeting” to learn about heartburn symptoms and how to treat it. NOTE: Participation in the 15 Minute Physical and Heartburn Help Clinic require that you answer a set of personal health questions. Please allow 15 minutes to complete the questions. Location: Hilton Atlanta, 255 Courtland Street, NE. Please select the events you would like to participate in. You may register for all three.